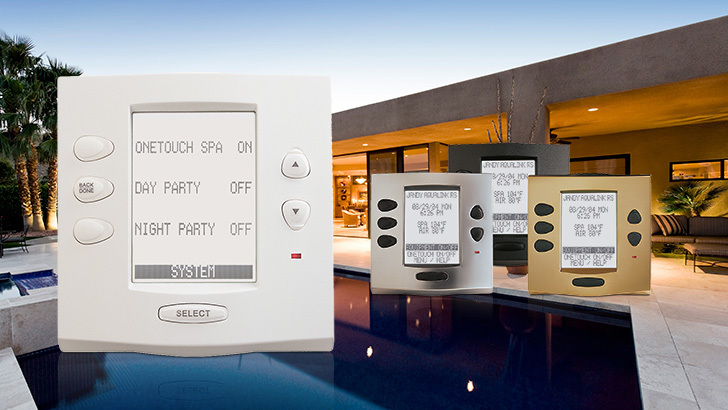 Complete indoor control for your Pool and Spa is now a reality with your user friendly One Touch control system. Designed to fit with any décor, the One Touch controller, enables the programming of pumps, heaters, air blowers, water circulation valves and more. Through the use of the One Touch feature of the controller, you can operate a number of appliances with one button. 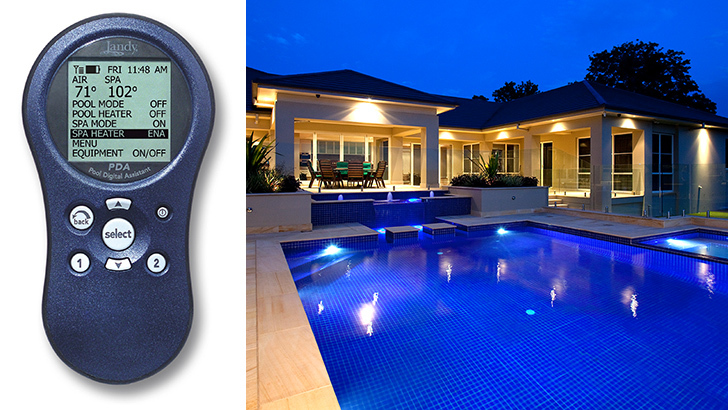 The clear indoor display shows water temperatures of spa and pool, and shows the status of all the equipment.